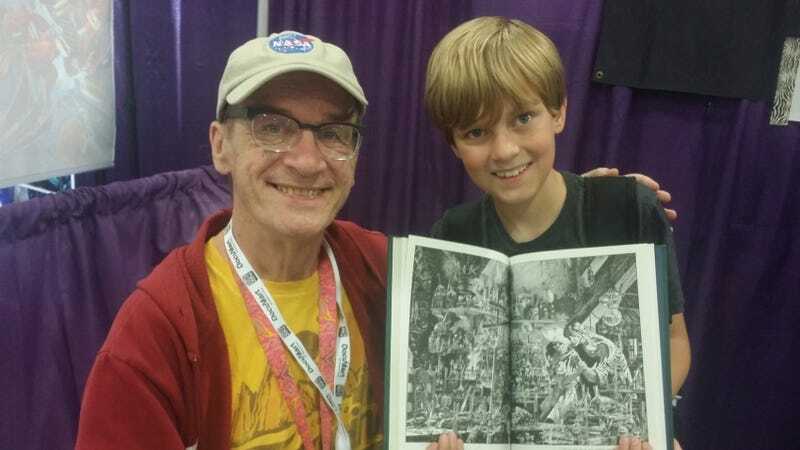 Bernie “Berni” Wrightson, a comic book artist known for his iconic Frankenstein illustrations and co-creating DC’s Swamp Thing, has passed away after battling brain cancer. The news was shared on his website by his wife, Liz Wrightson. Wrightson had a long and accomplished history in comic book artistry. He co-created the character Swamp Thing for DC Comics with writer Len Wein, as well as Destiny, which was later featured in Neil Gaiman’s The Sandman. He worked on Spider-Man, Batman, and The Punisher, as well as painted covers for Nevermore and Toe Tags. In addition to comic books, he did conceptual art for films like Galaxy Quest, and worked a lot with Stephen King, drawing the poster for Creepshow and illustrations for the restored edition of The Stand. One of his proudest accomplishments (beloved by many) would be the 50 pen-and-paper illustrations he crafted for a comics adaptation of Mary Shelley’s Frankenstein, working on it for seven years without pay because it was a labor of love. First published in 1983, it’s since gone down in comic book history as one of the greatest achievements by any artist in the field. So far, industry icons like Joss Whedon, Guillermo del Toro, and Gaiman himself have offered online tributes to Wrightson’s legacy.